Research is now telling us that eating a nutritious diet is not only good for our bodies, it also has an important impact on our brains too. It is believed that by changing what we eat, we can improve mental health related issues and decrease the likelihood of psychiatric disorders. Only recently has diet been seen as related to mental health. Studies now highlight that there is a clear direct link between a good diet and mental health disorders such as anxiety and depression, in both adults and children alike. There is a still a lot that we don’t know, but what we know for sure is that our diets do affect our genes, how we react to stress and our immune systems. A huge amount of good bacteria lives in our gut and this is good for our brains. The job of this good bacteria is to fight off any bad germs and help to keep our immune system in good working order. This decreases inflammation in our bodies, which affects our cognitive abilities and our mood. If we consume a diet which is high in fat or sugar, this can also negatively impact our gut. Some nutrients are connected to changes related to a brain protein. This protein impacts how connections are made between the brain cells. If we consume a diet which is high in nutrients, such as zinc and Omega 3’s, we will increase the levels of this brain protein. Alternatively, a diet which is high in sugar and saturated fats will have an undesirable impact on these proteins. The quote ‘we are what we eat’ sums it up. If we eat healthy nutritious food we provide our bodies with what it needs to be able to function at its best. The food that we eat turns into enzymes, neurotransmitters and brain tissue, which transfers signals and information between our body and the brain. We know that some foods can impact the symptoms related to mental health conditions and may even play a role in them. The key is to eat those foods that you would eat if you are looking to lose weight. Reduce the amount of processed, high fat foods and sugar that is eaten and swap these for a more plant-based diet. Choose foods such as vegetables, whole grains and fresh fruit. Replace butter for a healthier option such as olive oil. Ultimately, you need to select foods that are low in calories but high in nutrients. A lack of iron in the blood has been connected to depression (iron deficiency anaemia). Eat more: pulses (lentils, peas and beans), bread and cereals which have been fortified, meat, dark green leafy vegetables such as curly kale and watercress. Eat/Drink less: milk/dairy, coffee and tea. Large amounts of these foods/drinks can make it hard for your body to absorb iron. Low levels of zinc can trigger depression. Zinc plays a direct role in helping our bodies to manage stress. Eat more: beans, chickpeas, beef, oysters, pork, oats, cheese, crab, milk, lobster, cashews, chicken and yogurt. Omega 3’s are healthy fats which improve our memory and maybe even our mood too. Oily fish such as sardines, mackerel, anchovies, salmon and trout (oily fish needs to be eaten at least twice a week). Dark green leafy vegetables such as spinach, brussel sprouts and curly kale. Flax seeds, chia seeds and walnuts. Those with low levels of vitamin B tend to suffer with more brain inflammation. There is also a higher rate of dementia and depression linked to low levels of B12. A deficiency in folate has always been linked to low mood. Eat more: eggs, milk, clams, poultry, cereals containing vitamin B12 (turkey and chicken) and fish (tuna, trout and salmon). Vitamin D plays an important role in critical thinking, mood and brain functioning. Depression is linked to low levels of vitamin D and especially seasonal depression, which occurs in the winter when sunlight is reduced. A major source of vitamin D is sunlight and we need between 5-30 minutes of exposure to the sun each week in order for our bodies to produce the required amount of vitamin D. People with darker skin will require more sun exposure than those who are lighter skinned. Eat more: eggs, fatty fish such as tuna and salmon and foods which been fortified such as cereals and drinks. For those people that have not had much success from prescription drugs or who have struggled with the side effects these drugs have had upon them, nutritional help may offer them some hope in the future. Scientific evidence is pointing the finger towards the role of nutritional psychiatry in mental health over the more traditional methods. In order for conditions related to mental health to be reduced, psychiatrists and doctors need to understand how diet relates to mental illness. Frequently in the past, knowledge related to how food affects disease was not considered as part of a medical treatment plan and dieticians were called upon for advice on this topic as opposed to doctors. It is however, now becoming clear that nutrition needs to be incorporated into medical education to ensure that psychiatrists and GP’s are aware of the important role of nutrition and diets when it comes to our general health as well as mental health. 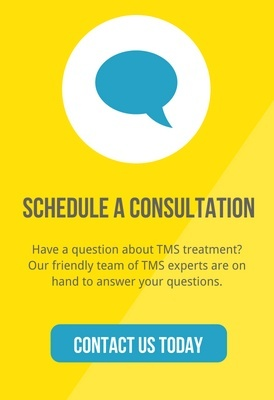 PreviousPrevious post:How Does TMS Work?NextNext post:Am I Hard-Wired for Depression?